With high-end VR systems priced at hundreds of dollars, it can be difficult to make the plunge before knowing what the experience is actually like. Luckily, it’s easy to find yourself a free demo of any VR major system out there. Here’s where you can try VR for yourself. The Vive is the ‘room-scale’ VR system created by HTC and Valve. 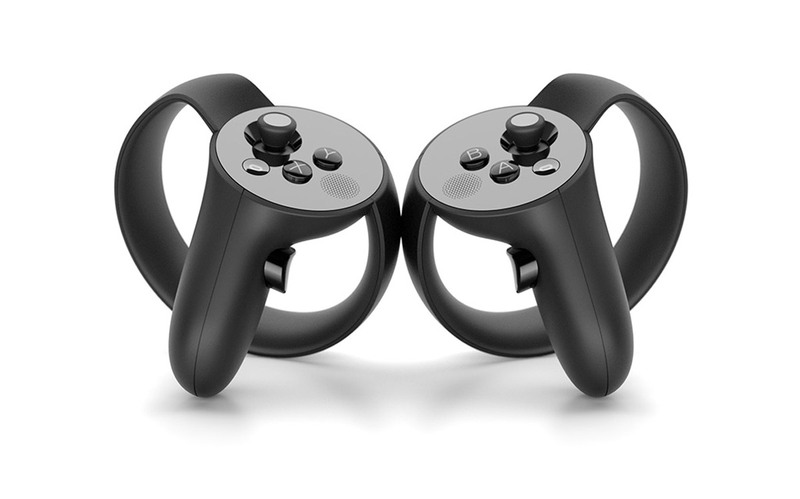 With high performance VR motion controllers right in the box, the system offers a highly immersive experience that lets you physically walk around a room-sized space while immersed in virtual reality. 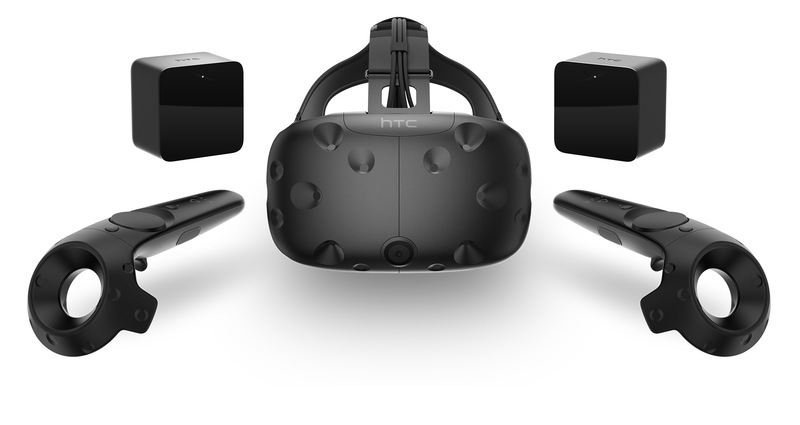 HTC hosts a list of stores across the US and Europe where you can try the Vive for free. Use the link above to search for the nearest location to you. Note that some of these locations allow you to make reservations directly through the map; even if not, it’s probably a good idea to call and ask if they require a reservation or only offer demos at specific times during the day. In the US, stores like Microsoft, Gamestop, and Micro Center host Vive setups offering public demos, while you can find the system in Europe in locations like Currys PC World, GAME, and Scan Computers. 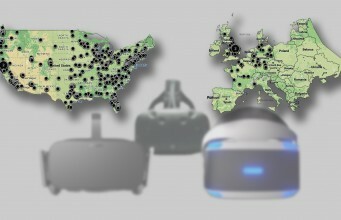 Most of the European Vive demo locations are concentrated in England, Belgium, The Netherlands, and Germany, but you’ll still be able to spot a few places in France, and even one in the Czech Republic. 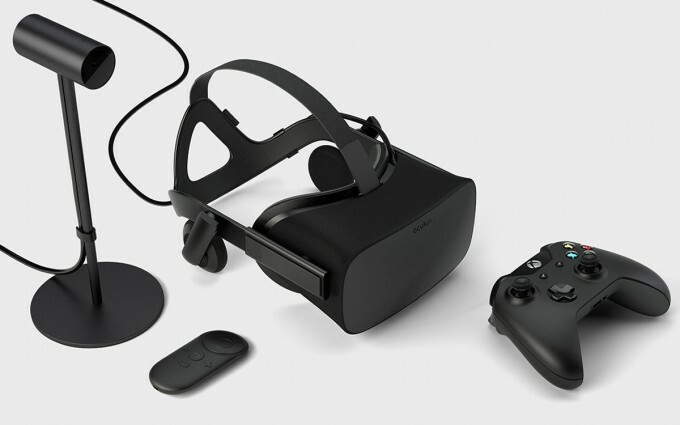 As the other major desktop-class VR headset, the Rift is the closest competitor to the Vive, offering a sleek headset with built-in headphones that focuses primarily on seated and standing VR experiences. While the system isn’t bundled with VR motion controllers, the company is due to launch their Touch controllers as an add-on in early December. Oculus maintains a list of stores across the US and Europe where you can try the Rift, Touch, and Gear VR for free. Use the link above to search for the nearest location to you. Note that many of these locations allow you to make reservations directly through the map; even if not, it’s probably a good idea to call and ask if they require a reservation or only offer demos at specific times during the day. With the Touch launch nearing, most locations are showing the controllers now as well, and some locations also have Samsung’s Gear VR headset on hand for you to try. To see what’s offered at each location, select your location on the map and then click the ‘Store Details’ dropdown under the store name to see which is available. Oculus has a healthy smattering of demo locations across the US in many Best Buy and Microsoft stores. In Europe you’ll find the headset in stores like John Lewis, Currys, FNAC, GAME, and more, in locations across England, Germany, and France, and two in Glasgow, Scotland. 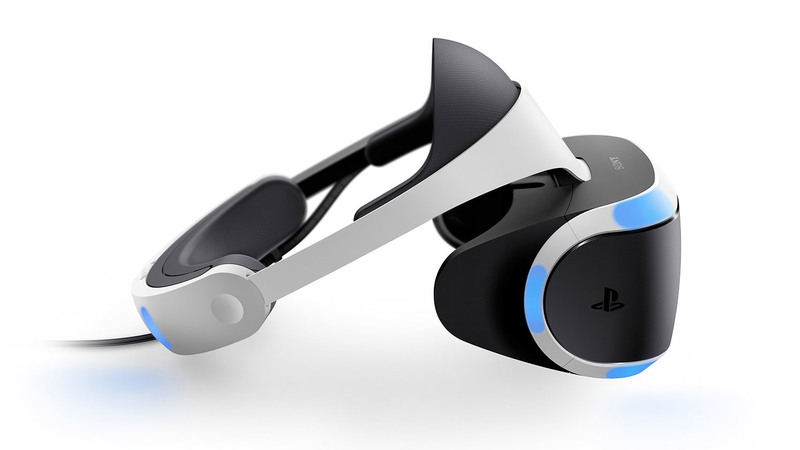 Sony is the first of the big three console makers to jump into virtual reality with the PSVR headset. It’s a less expensive option than the Rift or Vive, but still offers a compelling experience powered by the PS4 and it’s got an edge on ergonomics. Sony keeps a list of stores across the US where you can try PSVR for free. Use the link above to search for the nearest location to you. The headset is available in hundreds of Best Buy and Gamestop stores, and Sony’s own flagship stores. Most stores will demo the system with the PlayStation Move controllers and regular PlayStation controller as well. Every store on the map offering PSVR demos lists a specific set of dates and times when you can try the system. See the ‘VR Experience Hours’ section after clicking on a location. You may also want to ask if a store will take reservations within those hours so that you don’t end up waiting in a line. 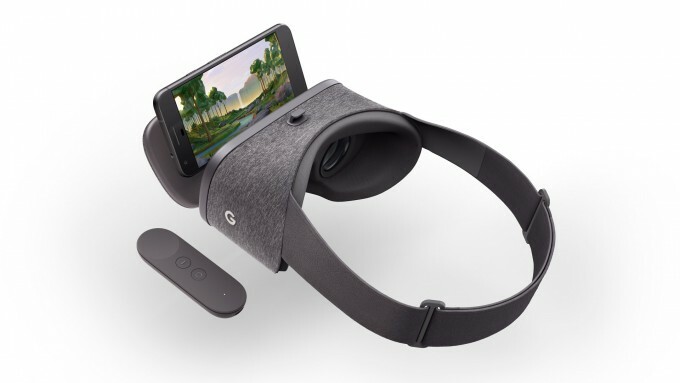 Google’s Daydream headset works in conjunction with ‘Daydream ready’ Android phones (like the Pixel) and apps to create a high-end mobile VR experience that rivals Samsung’s Gear VR. The system also includes a simple rotational motion controller that lets you interact more naturally with the virtual world. At $80 for the headset, Daydream is a great starting point for users new to VR. Google keeps a list of places across the US and Europe where you can try Daydream for free, including the Daydream controller. Use the link above to search for the nearest location to you. In the US you’ll find the headset in many Verizon stores, and we expect that Best Buy may soon begin demoing the headset as well. Across the UK, you’ll find the headset demoed in EE stores. Since Daydream has just launched, it’s probably a good idea to call the store you’re planning to visit to ensure that they have their demo stations available. You may also want to ask if they take reservations so that you might be able to dodge a line if the store is particularly busy. Community VR groups are also a great way to check out VR headsets, hardware, and games, and to connect to a community of people interested in the technology. Many community VR groups use the Meetup platform to organize regular events dedicated to VR. You can find VR meetups all over the world. 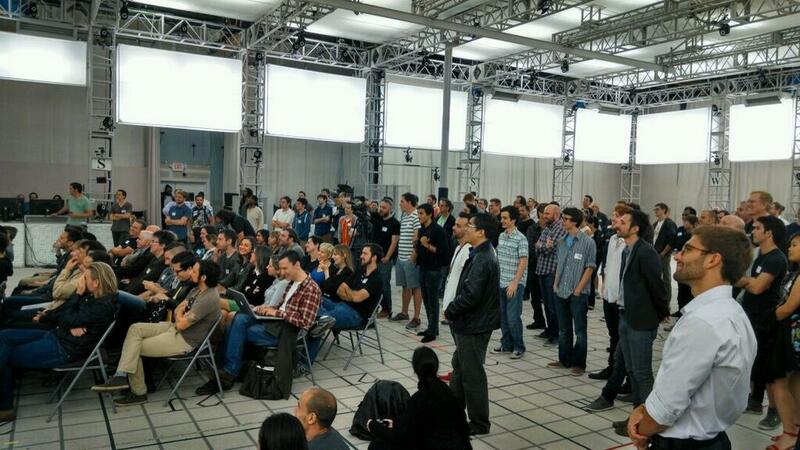 See the Meetup virtual reality topic page to find one close to you. The post Where to Try Vive, PSVR, Rift, Touch, Gear VR, and Daydream for Free appeared first on Road to VR.